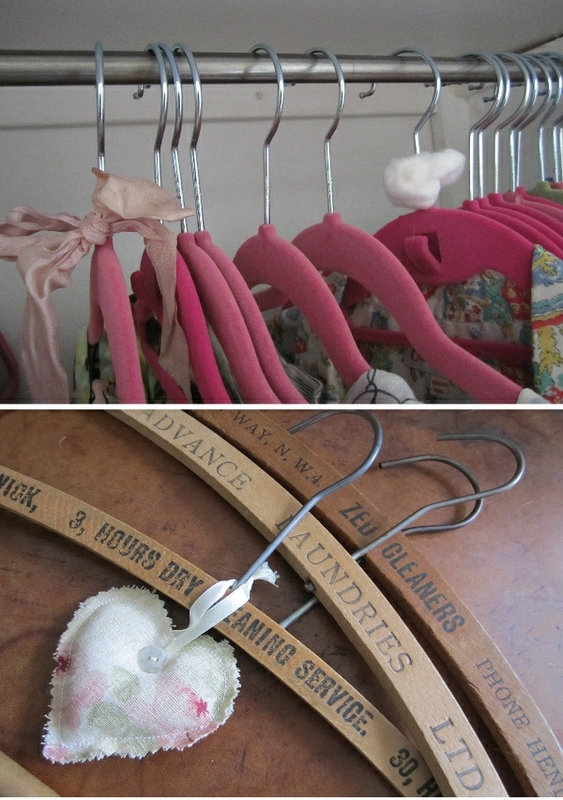 Coat Hangers, something of a necessity really and so much to choose from. I was always a firm believer in the padded hanger. So much so that in my Dream Acres days I used to make and sell the damn things. 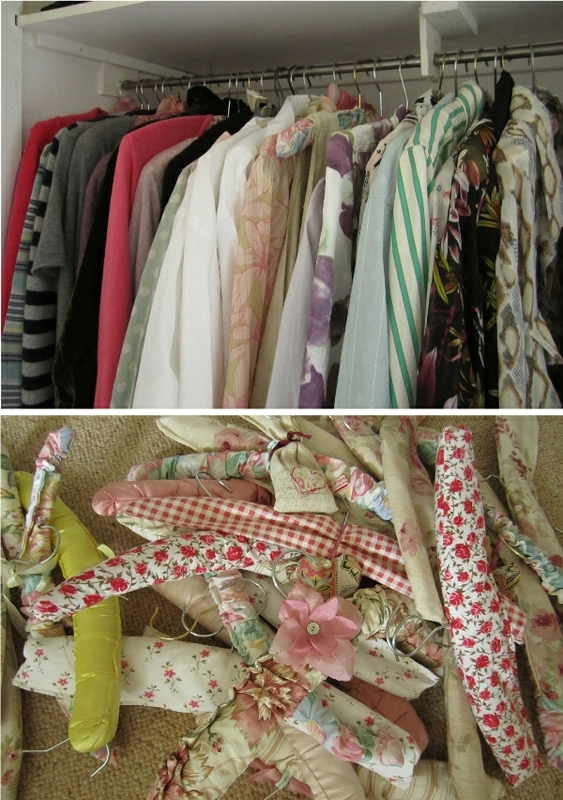 So you can imagine my wardrobe has been a testament to the herb filled floral printed clothes holder. 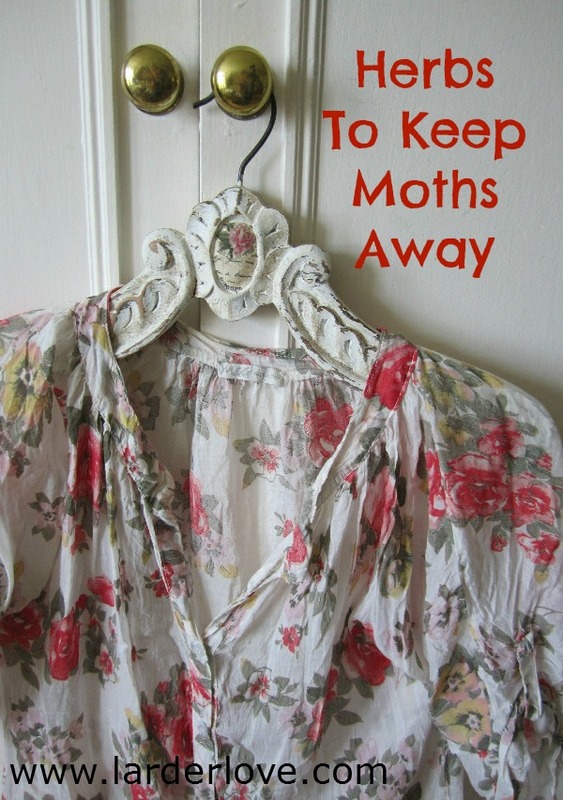 They look lovely, they smell fabulous, they keep moths away naturally, goodness, how perfect can you get! Actually they have one crucial flaw – they are a tad fat and take up too much room in the wardrobe. Last week I was reorganising my wardrobe and doing a bit of a declutter and decided to tackle the hanger situation head on. I gave the whole lot to the charity shop and replaced them with slimline velvet hangers. They save so much space I have now been able to hang up everything that was previously stuffed higglety pigglety in drawers. I’m using hearts, ribbons and cotton wool balls for moth chasing. I simply drip a few drops of essential oils on them and do this every couple of months to keep them fresh. Hearts stuffed with lavender, rosemary and cloves are swinging from some hangers (and yes I did keep my old vintage wooden advertising hangers, couldn’t chuck those) and the old ribbon bows and cotton wool balls have a couple of drops of lavender essential oil on them to keep moths away naturally. Make A Recycled Fabric Mini Wreath For Christmas - No Sewing!